I have two memories that stick out in my mind about Radio Flyer. First, my grandmother had a metal red wagon in her front yard that she used for flowers. It had been a wagon that was used for years for some of her older grandchildren. My grandmother had ten kids and my mom was child nine out of those ten. So I had cousins that were much, much older than me. So while my older cousins used the wagon for play, years later it was used for decoration. I always remembered that red wagon in her front yard and how badly I wanted to take all of those flowers out and use it to run all over the yard pushing cousins and siblings. Then, there was the red tricycle. It had been used for decades and at this point in my childhood was still being used to make memories. My little cousins would ride it all over the yard and even take it into the house. That red wagon and that red tricycle are memories of my childhood that I always knew I wanted to recreate for my kids in the form of play. As an adult in my forties, I now understand just how beautiful my memory really is… because Antonio Pasin would have loved this. 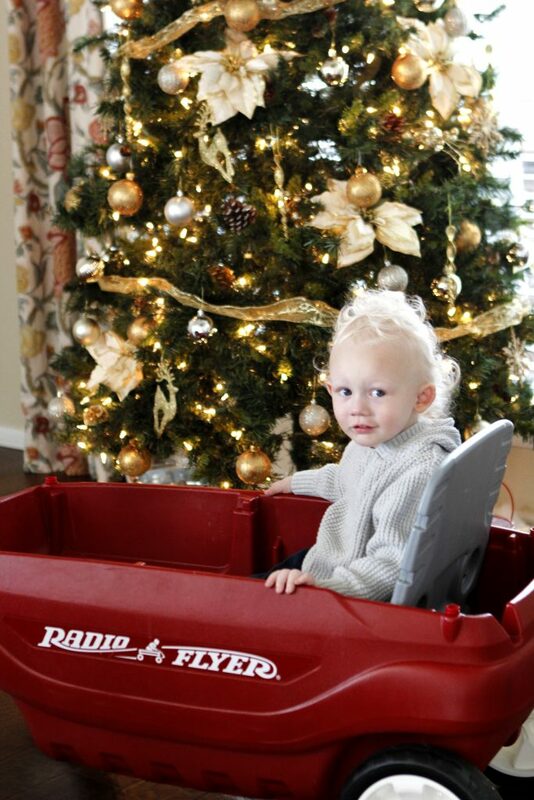 Do you know the story of Radio Flyer and how it came to be? The story will help you understand the legacy of a product that has been a part of our childhood, our parent’s childhood and now our children’s childhood. 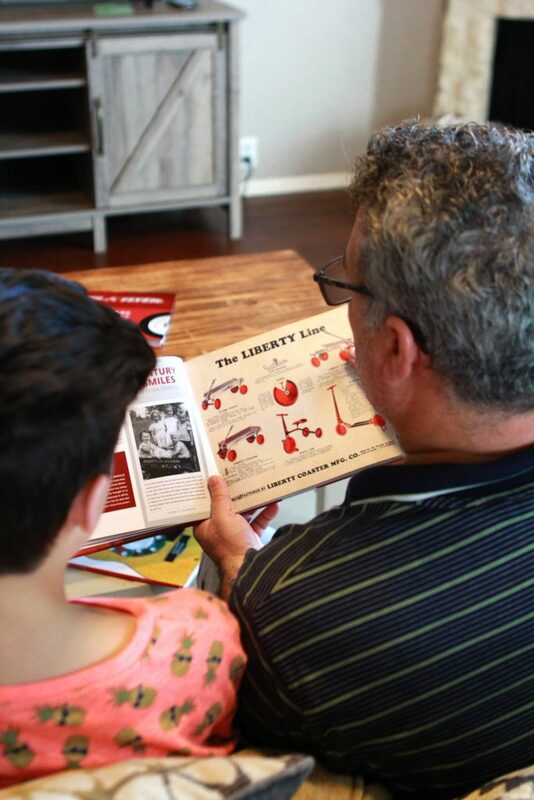 Radio Flyer has been making memories with families for 100 years! To me, this is a story in history that easily could have never happened had Antonio Pasin not boarded a ship that was leaving Italy in 1914, just months before the start of World War I, to come to Capital of the World…. New York. He landed on Ellis Island, was processed and boarded a train headed to Chicago. His views of the Statue of Liberty are something that were engrained in his mind. And that statue has a huge part to do with his red wagon. What Pasin longed to do in America was make enough money to buy back his family’s home in Italy. He was a teenager. Could you imagine as a mom sending your teenage boy an ocean away? Trusting him to not only find his way, but find the financial success he was looking for? He would send back money leftover from his wages to his family back in Italy. As a mom of boys, six still at home ranging in age from 17 to 2, I just can’t imagine what that must have been like for all who were involved. So much faith and courageous! This is how the story began for young Antonio who went on to be a man to create toys for children that would leave lasting memories for families all over the world. 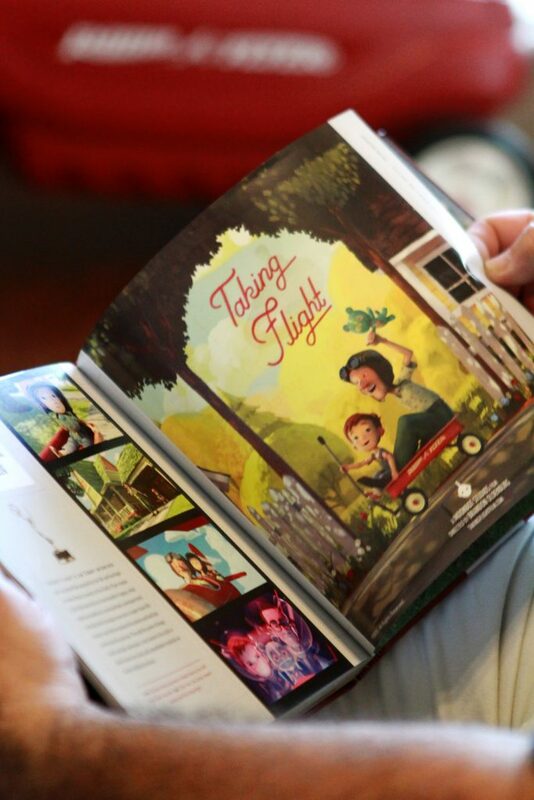 This year, Antonio Pasin’s grandson, Robert, has released a book that tells the story of Radio Flyer as it turns 100 years old. It shares the story of how their toys encourage active play in families everywhere. The book is full of images of families enjoying their products for 100 years and how much these red wagons and tricycles have become cornerstones of our childhoods. Have you ever heard the phrase “necessity is the mother of invention” ? I have heard it a handful of times and I have always believed this to be true. This is exactly how the little red wagon came to be. Antonio made a wagon to lug his work tools from job to job. It was a necessity. It was wooden at that time and it was actually named the Liberty Coaster, named after the Statue of Liberty which was THE iconic statue etched in his mind from his arrival on Ellis Island. Before he knew it, people would ask him to make one for them so they could use it for work, or, even better, for their children to play with. You know what happened next, right? Because this product did so amazing, competitors began to create their own version…. and of course on a greater scale. As an entrepreneur myself, I immediately empathize with this. When we create something great, someone wants to create something even better. Sometimes this can become discouraging. What moves me and what I admire about Antonio is that after all of the sacrifice he made being alone and away from his family, he did not give up! His focus became a wagon that was more durable than wood, and this is when the wagons were made of steel and had real rubber tires. This inspires me on so many level, but especially as a mother of children who all love to invent and create. And as their mama, I constantly remind them to never stop tinkering. And this is just what Antonio Pasin did! 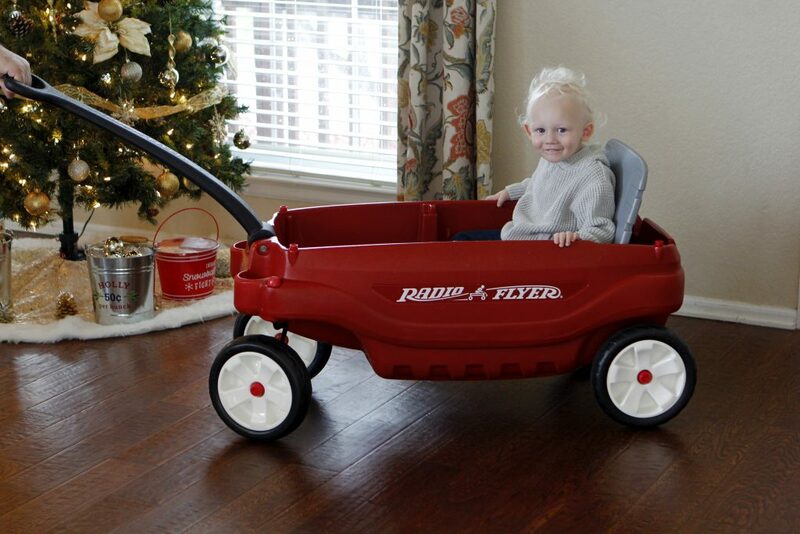 So how did the name eventually become Radio Flyer? Antonio never stopped working to make his inventions better. Always working hard to improve design. 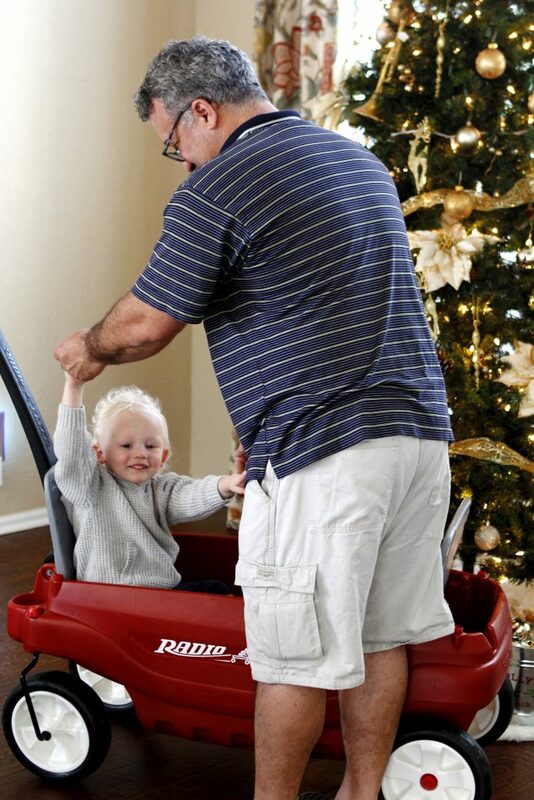 After three years of creating the steel wagon, he created yet a new model and named it Radio Flyer, after two of the greatest inventions- radio and airplanes. One thing that has always baffled me about the red wagon is the name… what did it mean. Now I know. And boy is it a powerful story! I really encourage you to grab a copy of this book, 100 Years of America’s Little Red Wagon, for yourself or someone on your gift list. What a beautiful piece of history to own, but also the story is one that will inspire your entire family. We’ve had it sitting on our coffee table in our living room and person after person who visits picks it up and thumbs through it not expecting how touched they will be by the amazing stories within. The story of Antonio Pasin, but also the stories of generations enjoying the same love for play. It’s rather touching. We are giving away one book to a lucky reader. Use the widget below to enter. I cannot guarantee that if you win the book will be delivered to you by Christmas.